An epic story of adventure, starring some of the most magnificent and courageous creatures alive, awaits you in “Earth“. Disneynature brings you a remarkable story of three animal families on a journey across our planet -- polar bears, elephants and humpback whales. Filmed with spectacular clarity and beauty, “Earth“ is both majestic and intimate as it captures rare footage of nature's wildest and most elusive animals. From the landmark Disneynature collection, “Earth“ is an astonishing and heartwarming film filled with adventure, suspense and humor that will take your breath away. No other film has attempted to capture the migration phenomena of so many species, thus telling the gripping story of the lives of polar bears, elephants and humpback whales. The production took over five years, used 40 camera teams, cut 1000 hours of film material from 200 locations in 26 countries. The result, "Planet Earth" (BBC television and DVD series) and then the cinematic film "Earth" inspired critics and viewers alike. 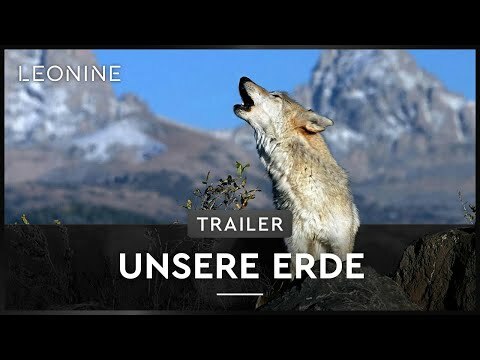 Since it's release it has been watched over 3.5 million times, it is considered the most successful European natural documentary of the last ten years. “Earth” is a summary in the cinema format of the equally impressive DVD-series “Planet Earth”. This contains much more material e.g. about cave worlds and an extremely interesting bonus DVD about the future of the earth. In addition, the makers added a conclusion with which they are appealing to take action against climate change. Some of the shots shown will remain incomparable forever because the herds of animals shown have been eradicated a few years after the first recordings. Selected for the Films for the Earth Festival 2012. In a very sensual, fun, and stimulating way “Earth" conveys the connection of seasons, fertility and animal migration. In a good journalistic manner it makes a strong reference to the topic of ecology, above all visually the content is absolutely novel. “Earth" has a clear structure with an even sequence, good cut and very remarkable camera work. The unique pictures are of the highest quality, the music is an artwork in itself. “Earth" is not full of knowledge and coherence, but touches unforgettable and inspires with a very strong planetary perspective. The film creates an unconditional admiration for life and its uniqueness, arouses strong feelings of love and it simply does you good. One feels a connection to the greater whole and the responsibility of mankind towards the whole of creation. “Earth" is certainly a gift to mankind. Topic Page(s): Films for Kids Planet Earth The nominated films of past Films for the Earth Festivals.